Police and family are concerned for the welfare of a man and his two small children who have not been seen since Monday morning, August 14. 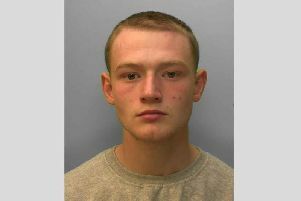 Robert Roche, 36, of Palmeira Square, Hove, and his two children, a boy aged three and a girl aged 18 months, set off from home at 9am on Monday to go to a day nursery in nearby Holland Road, police said in an appeal to find them. They did not arrive and police say they were were told at 5.30pm when family members realised that they had not returned home. Robert is described by police as white, 5ft 10in, stocky, with dark hair. His children are three-year-old Joey and 18-month-old Betsy, who was in a very distinctive black ‘buggaboo monkey stroller” buggy with a pink hood. There is also a step and a ‘saddle’ by the handle bar, police reported. Detective Inspector Mick Jones said: “We are searching the local area and are keen to hear from anyone who has spotted Robert and his children. “If you see them or know where they might be, please let us know right away on 101 or 999, quoting serial 1053 of 14/08. “We also ask Robert to get in touch with us so that we can arrange to meet and confirm that he and the children are ok.